Buying 1 Unit = 200 magnets. Buying 10 Units = a total of 2000 magnets. Just the magnet...bottle cap not included. With easy-lift tab for easy peel off. With strong 3M easy-peel double side pressure sensitive thin foam adhesive on one side of magnet. 3M High bond strength acrylic thin foam adhesive with paper liner features high temperature range of 70°F - 100°F. Magnets are ideal for many indoor applications or for exterior applications where the magnets will be protected from the environment. To obtain optimum adhesion, the bonding surfaces must be clean, dry and well unified. Neodymium magnets (also known as Neo, NdFeB, NIB or super magnets) , a type of rare earth magnets, are the permanent magnets made from neodymium, iron, boron and other rare earth elements. Nickel-Copper-Nickel triple layer coated for maximum rare earth magnets durability and protection again corrosion. 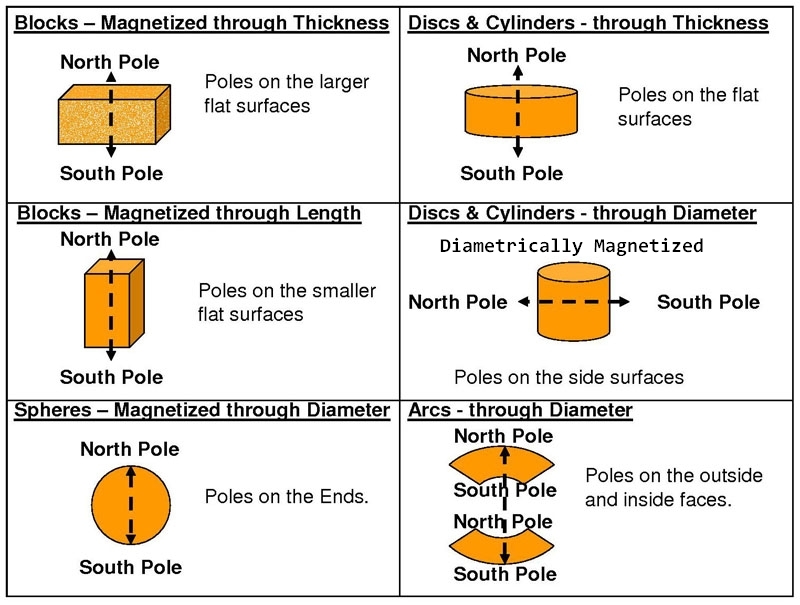 Magnet Polarity: Axially Magnetized through the Thickness, poles are on flat surfaces. Contact us for rare earth magnets wholesale discount.